It is time to get organized and clean out your magazines. 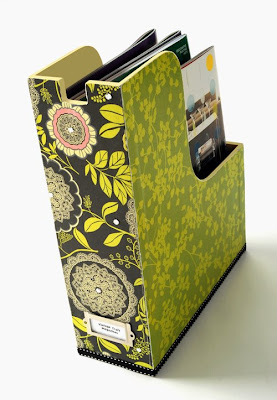 Store the the ones you can't part with in this Mod Podge Magazine holder we designed for Plaid. Visit this link for step by step instructions. Make tear sheets of projects, recipes, color palettes, design ideas or anything inspiring and place the sheets in a file folders or 3-ring binders. Organize the your tear sheets by subject so you can easily track down ideas. 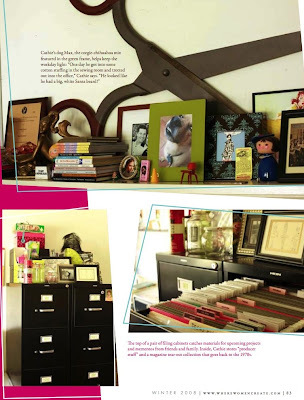 Visit my blog post to see the whole Where Women Create story and see my organized office. 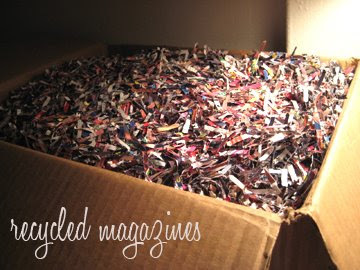 Make re-cycled packing materials with what you want to discard from the magazine by shredding them in a paper shredder. The perfect cushion for shipping etsy and ebay items. Visit my blog post on this here. What great ideas. Thank you for all your creative ideas and instructions. I wish I had big file drawers like yours. Really great ideas! I love the magazine holder! So happy to have found your site----so many great ideas!